A month just to focus on curb appeal for the home? You bet! August has been designated National Curb Appeal Month and it's a great time to look at your home with the eyes of other people. There are typically "Three C's of Curb Appeal" which are clean, clutterfree and colorful. August is the perfect time of year to power wash your driveway and walkway, clean your windows and even get rid of dead vegetation. To de-clutter your home exterior, put away excessive yard art, children's toys and even thin out your bushes. Then, to add color, consider adding flowers in key landscape areas, decorative flags and repaint your shutter, trim and front door. Hy-Lite can also play a role in curb appeal for your home. 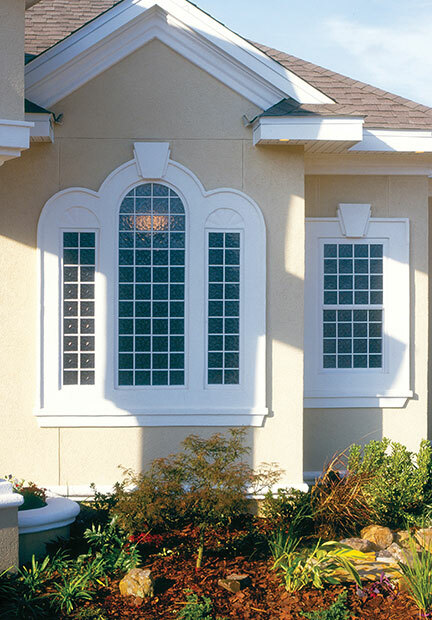 Our acrylic block and decorative glass windows are as beautiful on the outside of the home as they are on the inside! Naturally you get all the privacy benefits with our windows when you're inside your house ... but, on the outside "not looking in" Hy-Lite products help enhance your home's curb appeal. During August, take a good look at your home exterior. Pace yourself and do the needed maintenance needed outside the house. Then, come inside and relax behind your designer Hy-Lite windows!